Every digital marketer is quite aware of the power of search engine optimization to boost website visibility and gain more traffic. SEO is the way to driving organic traffic to a website if everything is done correctly. More than 40% of the conversion takes place through Organic traffic only. SEO marketing can boost the visibility of a website, create more engagement and bring your brand to the limelight. You may follow some simple SEO tips to attract more traffic to your Magento website. It is true that Magento is search engine friendly but still to make your eCommerce store more visible to the potential customers, implement easy SEO techniques to boost the ranking of your eCommerce store. Magento eCommerce developers have to put emphasis on the SEO part to boost the website visibility. Update to the latest Magento version – For a user of Magento eCommerce website, it is necessary to use or run the latest version of Magento. The latest version of Magento will keep you updated with the latest market trends. Make sure you use the latest or upcoming release to affect the SEO in general. So, when the site is latest and when all the previous bugs fixed, search engines will pick your site first. Optimize the website URL – It is important to optimize the URL of the website. If there aren’t codes embedded in the URL, it is better. Make the ‘store code’ as ‘no’ by accessing the site’s configuration. Save this configuration and use it for better visibility. Clean up the URLs by turning the server URL rewrite to ‘Yes’. Choose the right set of keywords – Magento eCommerce developers know the importance of using the right set of keywords. Before using certain keywords, you must perform a search to find how well the keywords fair. Use the right set of keywords to increase organic traffic to your website. Optimize the product images – To make a website SEO friendly, it is crucial to optimize product images. Know one thing that image titles can also help to attract more traffic by initiating keyword-based search results. Make sure you use Alt tags in your images. Post Original Content only – If the content you are using on your website is available already, it will be difficult for the search engines to pick your site. Thus, it is important to post only 100% unique and original content. To be sure of the originality of the content, you may check it out using the Copyscape tool. Pay attention to the website speed – Make sure the website loads speedily for the potential users do not have the patience to wait for the website to load. If the website loads slowly, you will miss out on the traffic. So, work on the page website loading speed. Generate Google sitemap – It is easy to generate Google sitemap. Add New Google sitemap to the catalog and save it. Modify Robot.txt file – Modify Robot.txt files by choosing ‘default robot’ by moving to the configuration. If the website is without the real products, Magento will surely add robot.txt file, making it difficult for search engine to index it. By modifying Robot.txt file, you may solve this problem. Use URL Key for specific products in the catalog – Create some URL key when you add a product category to your website. This makes the website URL more SEO-friendly. 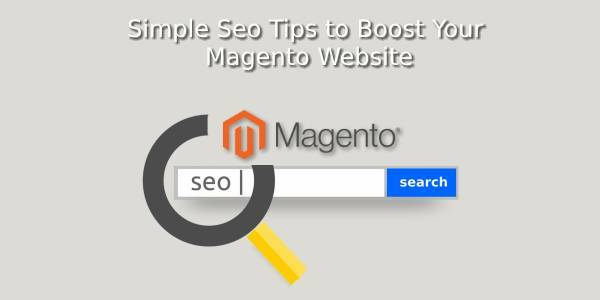 By following the top 10 SEO tips, you may surely increase the visibility of your Magento website and optimize it for search engines. Better SEO definitely means more conversions, better sales lead and more sales.